Gauchillos is my research on the Argentinian syncretism and the culture of devotion. Through a vast array of over 100 images, my project describes the Argentinian people cults of Gauchito Gil and San la Muerte, both vivid typifications of syncretism. It’s an original testimony of the genuine sanctity and exhilarating devotion to these two figures, who represent the need of an alternative to the official saints of the Catholic church. In the last few years, the Gauchito Gil cult has been spreading all over in other countries of South America, and has become a phenomenon of authentic folklore with costumes, shrines and temples that are simple yet sophisticated. I criss-crossed the Argentinian areas where the cults of these two popular saints were born and are most centred: Corrientes, El Chaco, Missione and Buenos Aires, with a special attention to the celebrations of January 8th, anniversary of the murder of Gauchito Gill. My project Gauchillos beatifies and honours the world of the lower social classes, who ask these saints help for their basic needs. 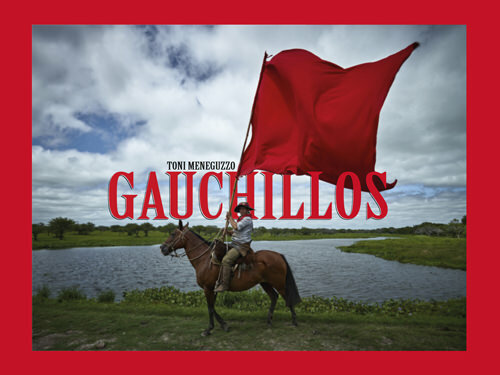 Most of the images include flags, costumes and decorations in red colour that is the federal colour representing Gauchito Gil.